A very special lady in our lives is turning 30 and I made this card to match her gift. I used the Number of Years and Balloon Celebration stamp sets. My colors were Smoky Slate, Pink Pirouette and Tip Top Taupe. I was inspired by another stamper, but I cannot remember who it was--so sorry! 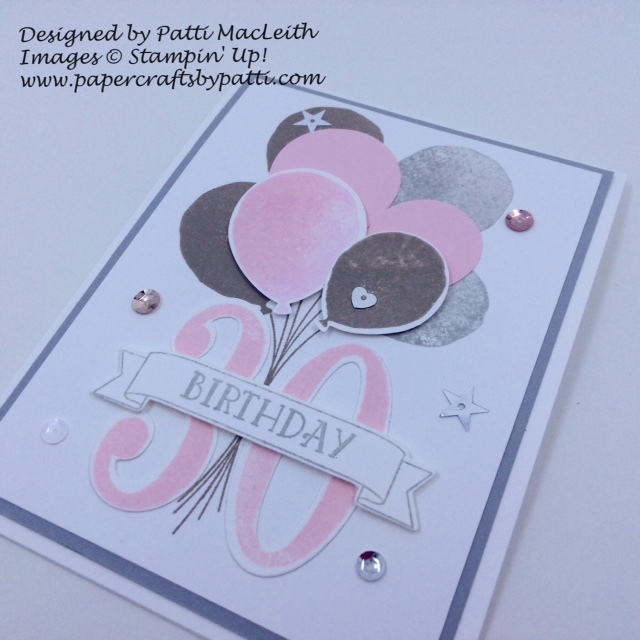 For a little bling, I added sequins from the Fancy Frost and Metallics collections. My card base is Thick Whisper White because of all the layers on the front of the card. Thanks for stopping by! 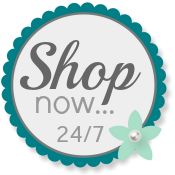 Use my Online Store any time you need Stampin' Up! products. I'd love to be your demonstrator!